In January, we are launching our first ever 6-month candidate training program for Democratic women in Iowa. We are still looking for applicants from across the state. As local leaders, you are uniquely positioned to connect us with women in your communities. If you, or a woman you know, would be a strong candidate for public office, please share this information with her or feel free to send her information to me and I will reach out. The Emerge Iowa training program is a unique opportunity for Democratic women who want to run for public office. It is the only in-depth, six-month, 70-hour, training program that inspires candidates to run and gives them the tools to win. Although the public application deadline has passed, I would like to extend extra time for any women in your communities who would be great fits. Women from all backgrounds including self-identifying women from the LGBTQ community, women of color and women from labor communities. Learn more at https://ia.emergeamerica.org/training/signature-program/ Please don’t hesitate to reach out to me at anytime with questions! “Trump’s Tariffs: Global, National and Local Perspectives” is the title of the next Plain Conversation, an educational series sponsored by the Sioux County Democrats. Patrick Bass, a professor at Morningside College, and Lauren Kaemingk, a commodity futures broker from Sioux Center, will speak on the topic Tuesday, Sept. 18, at 7 p.m. at the Fruited Plain Café in Sioux Center. Bass will discuss the recent tariff war from geopolitical, American institutional, national partisan, and local economic perspectives. Kaemingk will talk about the impact of tariffs on our local agricultural economy. A question-and-answer time with the speakers will follow their remarks. Bass has taught history at Morningside for 27 years. His research centers on U.S. foreign relations. He holds a doctorate in history from the Claremont Graduate University. Kaemingk has been a commodity futures broker with Kooima & Kaemingk Commodities in Sioux Center for 33 years. Plain Conversation is a regular series sponsored by the Sioux County Democrats to educate voters about issues facing the U.S. and world. It is free and open to the public. 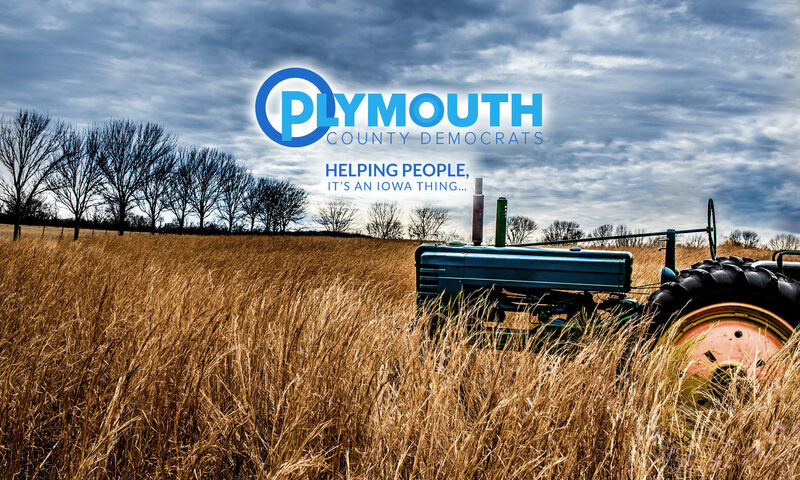 The Plymouth County Democrats will be holding their regular monthly County Central Committee meeting at 6:30 p.m. on Monday, September 17, 2018, at Lally’s Eastside Restaurant, 125 Plymouth Street NE, Le Mars, Iowa.